One of the most ported and played games ever, however how many of you know it's actually a game by Konami? 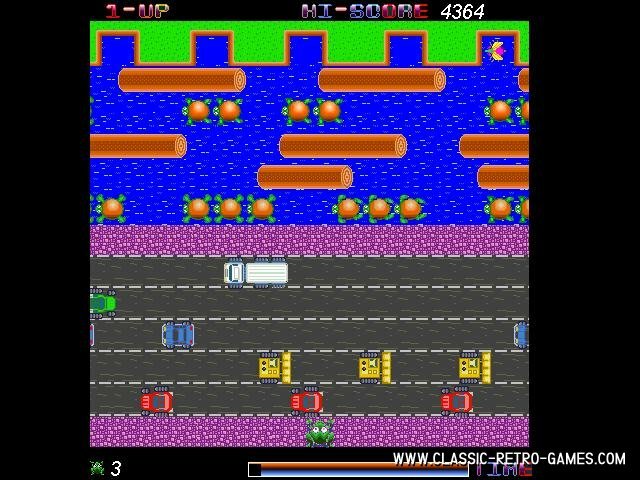 The game concept is well known, cross a busy road and river full of crocodiles as a frog to reach your love of your life at the other side of the river. Once you have helped 5 frogs cross, they all decide they prefer to stay single and you'll need to help them get back downtown. 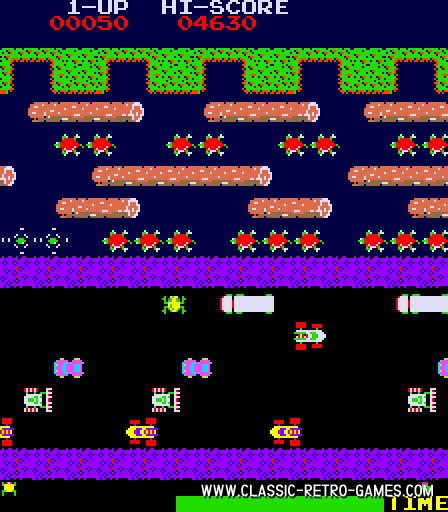 If you'd like to enjoy some real retro gaming then download this free fan remake for Windows PC of the classic Frogger game by Konami originally released in 1981. Currently rated: 4.2 / 5 stars by 35 gamers.